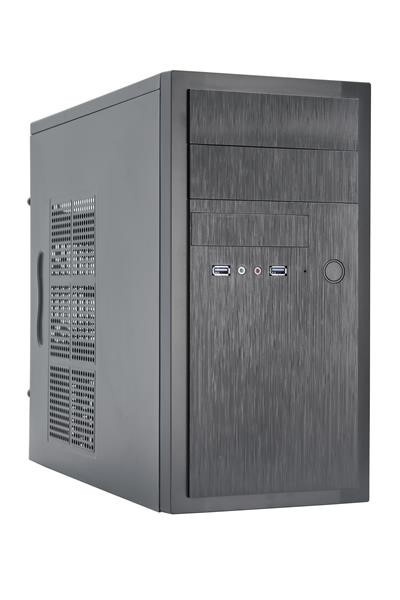 Provedení skříně:Mini Tower / micro ATX; Vybavení PC skříně:Bez integrovaného zdroje, Přední Audio panel, Přední USB panel; Výkon zdroje (ve W):0; Barva skříně:Černá; Počet pozic 2.5" (SSD):1; Počet pozic 3.5" (HDD):3; Počet pozic 3.5" (FDD):1; Počet pozic 5.25":2. 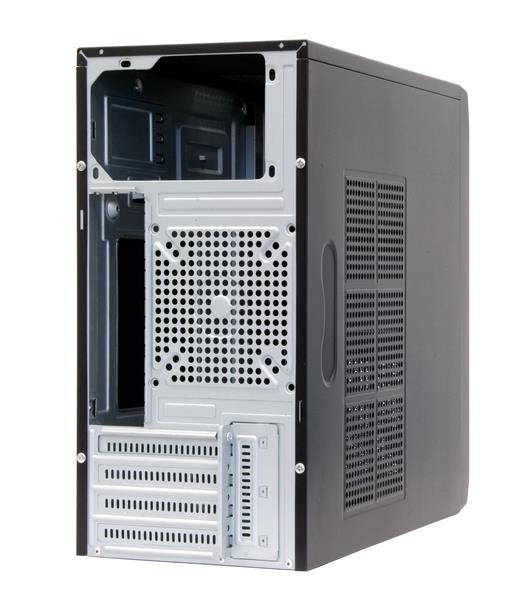 HT-01B – CHIEFTEC’s new compact chassis, the HT-01B, comes with a couple of new innovations. The eye-catching and outstanding front panel gives a brushed aluminum feeling. Next to the front audio ports, it offers as well, two USB 3.0 ports that allow the user to copy files with up to 5 GBit/s (USB 3.0 Super-Speed). To keep the temperature inside the chassis at a low 10 level, the side panels are equipped with large ventila-tion grills. 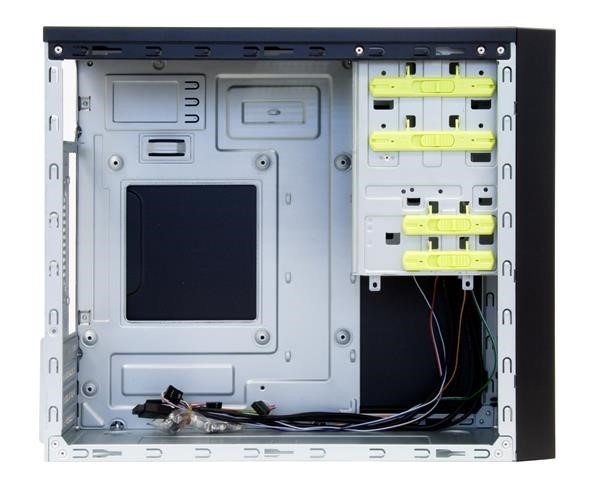 Should this not be sufficient, an additional fan (80, 90 or 120 mm) can be installed at the rear side of the chassis. Thanks to the tool-less design, the installation of exter-nal drives (2x 5.25” and 1x 3.5”) are quick, easy and flawless thereby not using any slide rails or thumb screws. As for the internal drives, the mATX case of-fers enough space for two 3.5” and one 2.5” HDD’s. Last but not least the environmentally friendly packag-20 ing (the cardboard box) is made from 100% recyclable materials only. 2x 5,25" / 1x 3,5"
2x 3,5" / 1x 2,5"